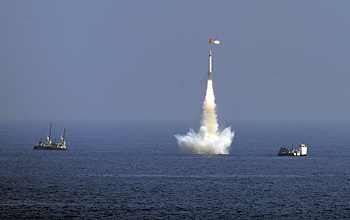 The Indian Coast Guard’s current plans include growth to about 100 air and 150 surface platforms. 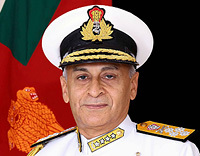 Vice Admiral M.P. 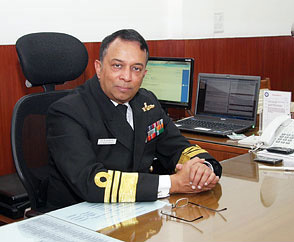 Muralidharan, Director General, Indian Coast Guard, in an interview with SP’s Naval Forces, spoke at length about capability and modernisation plans. 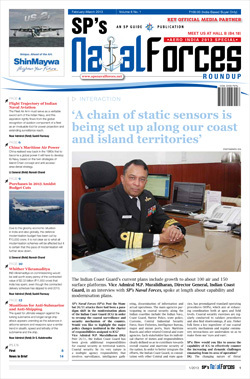 The Fleet Air Arm must serve as a veritable sword arm of the Indian Navy, and this aspiration rightly flows from the global recognition of aviation component of a fleet as an invaluable tool for power projection and extending surveillance reach. 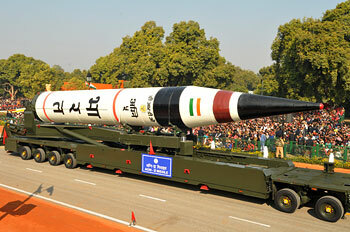 Due to the gloomy economic situation in India and also globally, the defence modernisation budget has been cut by Rs. 10,000 crore. 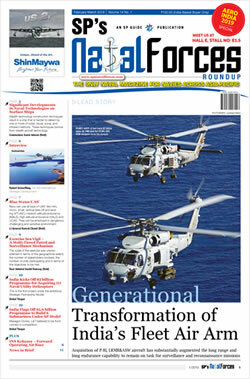 The quest for ultimate weapon against the lurking submarine and longer-range ship attack appears unending as the advances in airborne sensors and weapons spur a similar trend in stealth, speed and lethality of the submarine and the ship. For the first time, two Lockheed Martin F-35C Lightning II carrier variant test aircraft refuelled together with a Lockheed Martin KC-130 Hercules in the sky above Patuxent River, Maryland, United States, recently. 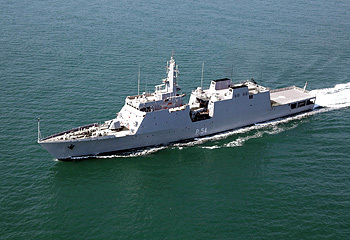 The second of the three follow-on Talwar-class frigates, INS Tarkash (F50), arrived in Mumbai today and is now part of the sword-arm Western Fleet.